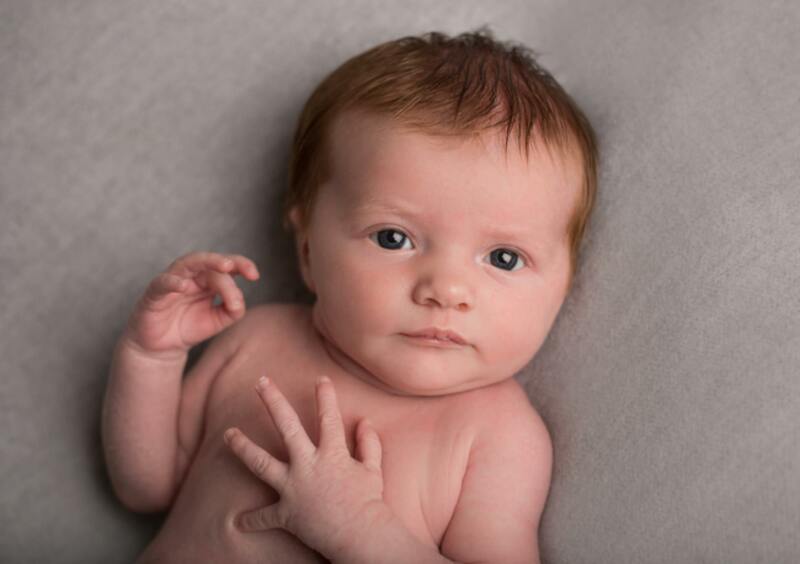 Baby Lexie came for her Accrington Newborn Photography session last week with her mummy and daddy and little brother Rory. Lexie was 4 weeks old so not as sleepy as a newborn baby would be, I had chatted to mum before the session about what to expect and she wanted something more natural and was happy for Lexie to be awake. 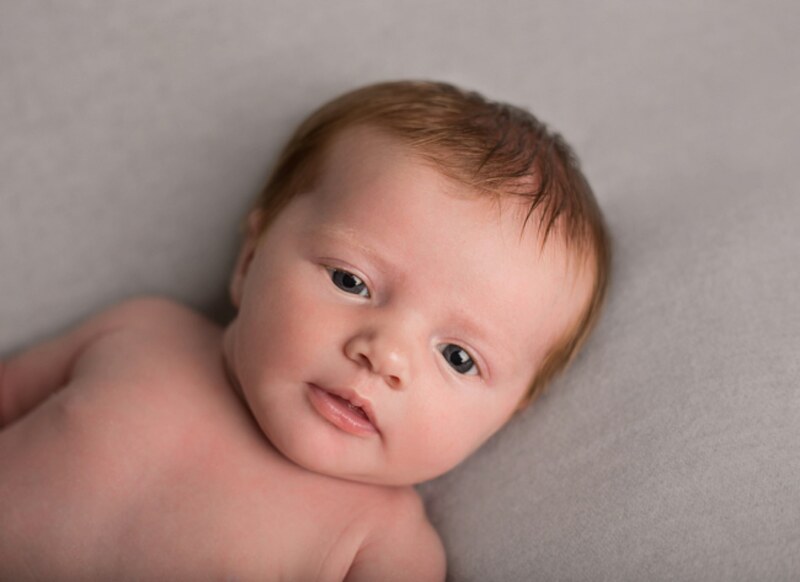 Most of my newborn baby sessions are done within the first 14 days from both with the ideal time being around 7-10 days as by this time baby is in a good feeding routine and is still new enough to be sleepy and naturally curly. This means that when posing baby naturally wants to curl up in positions like they were in the womb. Lexie was very relaxed and happy to lie on her own for photos without too much settling. Its always lovely to be able to capture some of babies personality when they are awake and Lexie has the most beautiful eyes. Big brother Rory was 14 months and mum really wanted some photographs of both children. Amazingly Rory let us lie his baby sister next to him and posed for a few very quick photos- even this was adventurous given his age but he was a superstar! Rory even managed to get himself in on the action and found himself at home in the tin bath which also kept him from wandering off as i photographed his cheeky smile! After a few cuddles and photos with mummy Lexie even fell asleep so we could get a few cute sleepy shots on the beanbag which completed the session nicely. 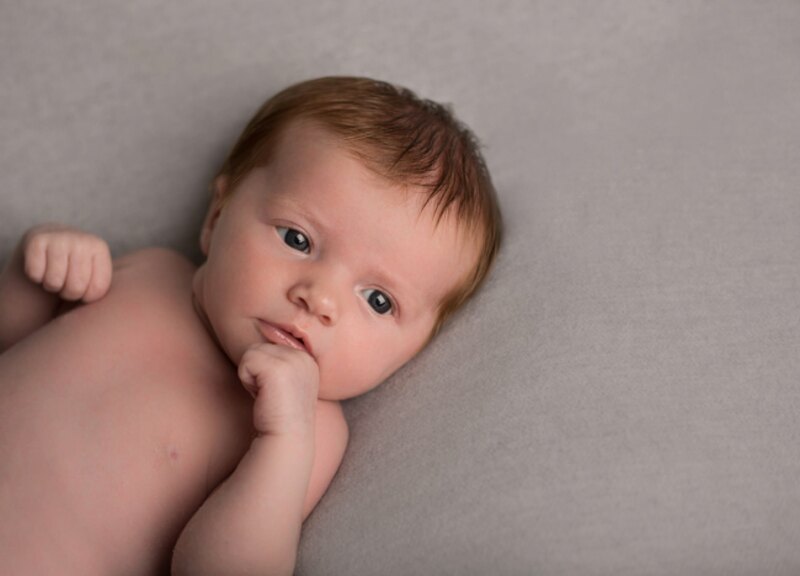 Thank you for checking out my Accrington Newborn Photography with baby Lexie, for more information on sessions and pricing click here. Sessions can be booked anytime after the 20 week scan.